Security. Flexibility. Growth. In the world of retirement savings, vehicles with these features can be pure gold. Hybrid annuities feature each of these elements, and may be the antidote to retirement anxieties stirred by the current economic environment. Every day, tens of thousands of baby boomers are hitting birthdays marking their 60th to 65th years. At the same time, just 47 percent of the gainfully employed are confident they will have sufficient money saved to provide income 25 years into retirement. The overriding fear among future retirees is that their savings just won’t be enough to generate the income necessary to comfortably sustain them through retirement. For most workers having enough to live on during retirement is a priority, and they’re willing to pay a price for this peace of mind. According to a recent Bank of America Merrill Lynch study, 79 percent of the gainfully employed would readily surrender 5 percent of their annual salary in exchange for the security of a guaranteed retirement income. Fully 38 percent would give up 10 percent or more of their salary for this same guarantee. This anxiety is so pronounced older workers are actively delaying retirement to extend their wealth building years. According to a study by the Conference Board, the percentage of full-time workers aged 60 to 64 entering retirement each year is in decline: from more than 12 percent in 1998-1999 to less than 7 percent in 2009-2010. Traditionally, there are two ways to generate income for retirement: a lifetime income annuity; or a strategy of systematic withdrawals from a 401(k) or IRA account. 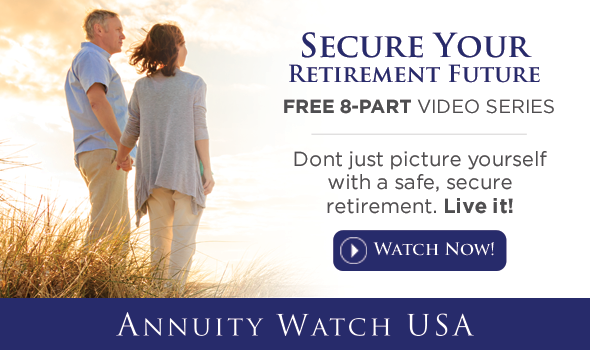 Lifetime income annuities guarantee a fixed monthly income over the lifetime of the retiree. Retirement investment accounts provide income without a guarantee, but they have the potential to grow along with markets. To these choices investors can add a new option: hybrid annuities. Like conventional annuities, hybrid annuities offer assured income streams over the life of the retiree. They also afford protection from the downside risks of market investments. But unlike conventional annuities, hybrids offer the potential for increases in retirement income as their principal grows with market upswings. With hybrids, retirees have the potential to realize growth rates of 5 to 7 percent in addition to potential gains from positive market performance. These instruments also offer the ability—within limits—to have guaranteed income levels indexed to inflation with no market downside risks. There are even options offering the investor control of account assets to cover unexpected expenses, as well as the ability to leave the full value of the account to heirs minus any withdrawals. As with most financial options, hybrid annuities have some limitations. Market gains are limited, and excessive withdrawals in the early years of the account can lead to steep surrender charges. In addition, retirees may have to pay additional for added features and benefits, depending on how the contract is structured. So the benefit options and the associated costs over the life of the plan should be thoroughly explored. Working with an experienced Retirement Income Planner is key to making sure you understand the product options available to you. For a significant proportion of people seeking solutions for retirement income, hybrids may be the cure for retirement-funding anxieties. They offer multiple benefits under a single policy structure. These innovative instruments provide secure future income without the downside risks of market fluctuations, or the persistent paltry yields from savings accounts and CDs. Hybrids offer flexibility, security, and growth—all with the least amount of worry. And that’s gold in the Golden Years.